"The Wise Heart: The Story of Emory University," premieres at 8 p.m., Thursday, April 26, with encore presentations at 10 p.m. and again on Sunday, April 29 at 8 p.m.
Emory University is the subject of a new hour-long documentary set to air this month on Atlanta's PBA 30 public television station. "The Wise Heart: The Story of Emory University" premieres at 8 p.m., Thursday, April 26, with encore presentations at 10 p.m. and on Sunday, April 29 at 8 p.m. The program goes to the heart of what makes Emory distinctive, and examines the spiritual, ethical and intellectual pulse of a world-class institution engaged in ongoing transformation. Produced and directed by David Hughes Duke, an Emmy award-winning writer and Georgia-based filmmaker, the program takes viewers on a journey through the historic milestones that helped a small, Methodist college grow into a multi-faceted, modern research university. The dynamic storyline moves viewers between past and present, through the words of Emory students, faculty, trustees and administrators against a visual tapestry of archival photos and video. 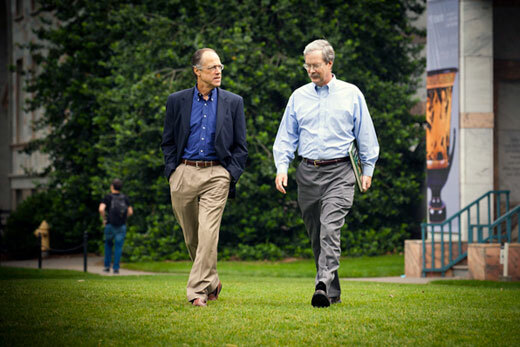 For more about the documentary, see 'The Wise Heart' traces the transformation of Emory.